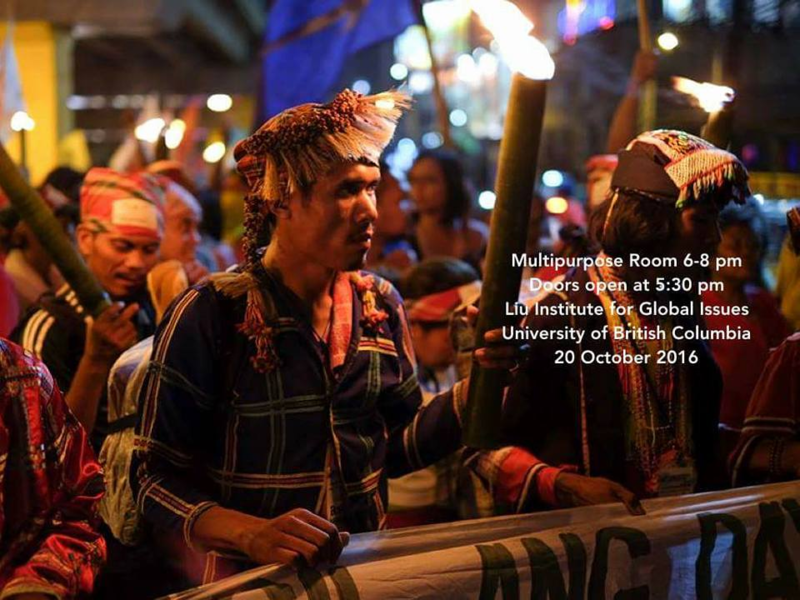 Listen to our speakers who traveled to Mindanao this past summer to learn about the human rights situation in the Philippines. The delegates from the recent International Human Rights Conference in the Philippines will share their experience, reflections and calls to action. Migrante BC and the other sponsors of this event believe strongly in the power of international solidarity and the need for people from all over the world to stand united in the struggle for justice and in the affirmation of the dignity of all! Tags: Canadian-Philippines Solidarity for Human Rights, human rights, Philippines, Politics. Bookmark the permalink.